In 2003, Moore Legal Technology founder and Managing Director, Stephen Moore, appreciated that many law firms were daunted by the prospect of using technology to enhance the way they do business. He understood the simple fact that law firms that didn’t embrace legal, information and communication technologies would begin to fall behind their competition. Having initially been involved in various legal technology projects such as the development of an online case law resource and an online dispute resolution system, Moore Legal Technology as we know it now really came into being when an old friend from University approached Stephen to help his law firm with search engine optimisation and online marketing. Stephen brushed up on his knowledge on SEO and conversion techniques and set about redesigning, rewriting and re-optimising the site. Soon after launch, the site’s rankings improved and the enquiries started flowing. It was at this point that Stephen realised that what he was being asked to deliver was actually new business – not a website, or better rankings etc. These were means to an end. Since that point, Moore Legal Technology has specialised in helping law firms use the internet more effectively to increase their turnover, enhance their brand, improve their efficiency and future proof. 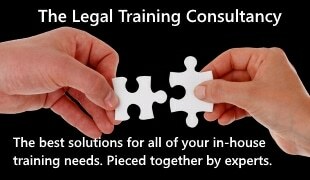 We now work with law firms of all different shapes and sizes, across myriad areas of practice, throughout the UK and internationally. Stephen said “When I started Moore Legal Technology from the kitchen of my first flat in 2003, I never thought we’d get to a stage of having a 20+ strong team servicing law firms from Manchester to Malta, Glasgow to Grand Cayman, Stoke to Sydney! “The legal sector is going through a period of unprecedented change and will continue to do so as technology has more of an impact into the way the law firms operate. Once thing I’m sure of is that the requirements of law firms and the services we provide them with will change beyond all recognition over the course of the next 15 years. Indeed, one of the most exciting aspects of our business at the moment is ensuring that we keep one eye on the future to make sure that our offering remains ahead of the curve. How will AI, gamification, service automation, and marketing automation affect the legal sector in the months and years ahead? We don’t know for certain, but we’re having fun researching, developing, trying, occasionally failing, and trying again. “Our mission is to help modern, ambitious, forward-thinking, law firms thrive, grow and reshape the legal services market, and I’m genuinely excited to see where the next 15 years takes us. Moore Legal Technology would like to be part of your law firm’s success story. We’d love the opportunity to show you how we can help you increase your turnover, enhance your brand, improve your efficiency and future proof your practice through the delivery of a comprehensive range of digital, marketing, sales, branding and strategic services. Please explore our website and give us a call on 0845 620 5664 to discuss how Moore Legal Technology can help your law firm succeed.